Real estate online portals make it easier for buyers to view, rate and analyse property without visiting the actual site. Gone are the days when purchasing a product was synonymous with walking into a busy market. Online shopping has resulted in customers tapping their phones and tablets for purchasing all they need from shoes to gadgets. An addition to the products on offer online has been a slightly more expensive asset-real estate. Real estate search engines with classified ads have existed for quite some time, but the days of limited search for listed properties in a particular area are long gone. Real estate online portals have now evolved to provide a data-backed analysis of each and every micro market with minute details of the property. They are now emerging as a one-stop destination for not only buying property, but also advise on getting finance and preparation of rent agreements. The trend has gained momentum as customers are also now comfortable considering buying real estate online. "We saw some early signs around the online booking trend last year when we partnered with Google during the Great Online Shopping Festival to offer over 300 real estate deals to prospective buyers. More than 200 builders across 20 cities participated in this initiative, confirming the potential," says Narasimha Jayakumar, chief business officer, 99acres.com. The following are features that online portals provide. Most of the features mentioned below are free. As mentioned earlier, getting the list of properties after entering the criteria like budget, size of apartment, city, etc. is now passé. Now, you get to see the actual location of the property and also compare the various properties listed in that area as per their location. The facility, available on almost all online portals, also helps you locate nearby hospitals, roads, malls, cinema halls, schools, parks, ATMs, etc. in the area. This helps a potential buyer get a clearer picture of the area where the property is located. The search also informs you about the distance and travel time to the nearest key establishments like metro station, bus stop, airport and hospitals. "Map-based search reduces the number of searches as compared to the traditional method of keyword-based search. The feature directly addresses the need to identify properties in locations that one cannot visit. This aids decision making," says Sumit Jain, co-founder & CEO, commonfloor.com. While maps can tell you all you need to know about the location and development around it, what about the house itself? The norm, until now, has been to wait until the sample flat is ready, at least in case of newly-launched projects. So, online portals have come out with a solution called virtual 3D tours. The feature makes use of latest visualisation software, which uses details from the same floor plan along with inputs pertaining to the height of the room to create a 3D view. This feature provides the property seeker a 360-degree view of the rooms. It helps users to get a good feel of the property in terms of space, lighting and ambience. On 99acres.com, a person has to click on the camera icon displayed on the floor plan view on the side of the screen and rotate it for the view. Similarly, housing.com calls it the 'slice view feature' which is available for newly-launched projects, while commonfloor.com calls it the 'virtual tour feature'. 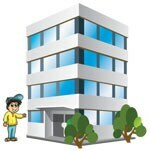 Launched by commonfloor.com, this allows people to get an aerial view of the property and its surrounding area without having to visit the location in person. This saves a lot time and effort for buyers, who are spared the cumbersome practice of visiting each property. The website, which currently provides this facility for properties listed in Bangalore, uses phantom drones to click images of properties and their vicinity. Images clicked are then woven together to provide users with a 360-degree view of the location. These drones are set at a height of about 180 metres, keeping in mind the top floor of the under-construction building. "The main issue that real estate buyers face is authenticity of data," says Advitiya Sharma, co-founder, housing.com. There are chances that your search list might have properties which do not exist. To address this issue, online real estate companies have 'verified' properties on their websites. 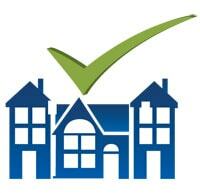 Every property listed on housing.com is verified. All the listings on their website have real photos of property taken by data agents. Other online portals like 99acres.com, commonfloor.com, magicbricks.com are also encouraging their customers to get their properties verified as this increases the number of responses they receive. 99acres rolled out verification services recently in Chennai, Hyderabad, Kolkata, and Pune. The verification is done free of cost. The verified tag attached to the property increases its chances of being sold. Also, apart from the photographs and videos, data agents collect minute details about the property so that the seller will not have to answer calls regarding the minute details about the property. According to Sharma, data agents of housing.com collect information on around 100 points about a single property. Real estate online portals are adept at providing you a clear picture while you lounge in your house. Some go a step further. Commonfloor.com, offers a customised site visit feature for users. It provides a cab at the choice of time and date and pick up location to take the buyer to the project of their choice promoted on commonfloor.com. This is free of cost for the buyer. 99acres.com have introduced builder pages on the site to give users a sense of builder track record. This page gives basic information about builders and the list of their past, current and upcoming projects. You also get information about the price trends of the various projects of the builder. Price Heat Maps: Price data is visually shown on a map to give people an idea of the price variation with geography. You can now simply hover over a locality and find the average price of the houses. Visibility Index: This index, launched by housing.com, simplifies the search process. Under this, properties which are more popular are shown under the default zoom option. So, you can look for other properties by zooming in further. Inventory Demand and Supply: It shows where people prefer to live in a particular city and the supply of properties in the various areas of a city, along with the online demand for property in the particular area. Housing Lifestyle Rating: It rates living experience in a particular apartment, using factors like locality score, society score, neighbourhood and connectivity score. Child Friendliness Index: The index, provided by housing.com, measures localities on three different criteria: number of schools, hospitals and parks in an area. The schools in an area are given greater weightage in creating the final composite score. The index marks areas according to how child-friendly they are, using colours, with red used for the most child-friendly while green is for areas that are not child-friendly. Commonfloor.com has an apartment management software designed to manage day-to-day activities of gated communities. It includes online notice board posts and residents' directory. It can also be used for updating & managing accounts, maintenance dues and registering complaints. Through this software, residents can communicate with one another, have apartment-related discussions, organise events, etc. The residents can also use the payment gateway for paying maintenance fees. They can also access the repository of home service vendors like carpenters, architects, plumbers, day-to-day home repairs and maintenance. For RWAs, it provides functions similar to Enterprise Resource Planning (ERP) and the administrators can use it to manage accounts, delegate activities, set reminders and generate receipts. They can also use the platform's SMS and email services to circulate important messages among residents. Housing.com has launched a facility for properties in Bangalore, under which people can create and customise their rent agreement. You just need to provide basic details and add clauses relating to parking, tenure of agreement, furnishing and much more to generate the agreement that suits your need. Housing.com will prepare the agreement and take care of the paperwork for a small fee. It will deposit the required stamp duty and will get the rent agreement dropped at your place within 48 hours.